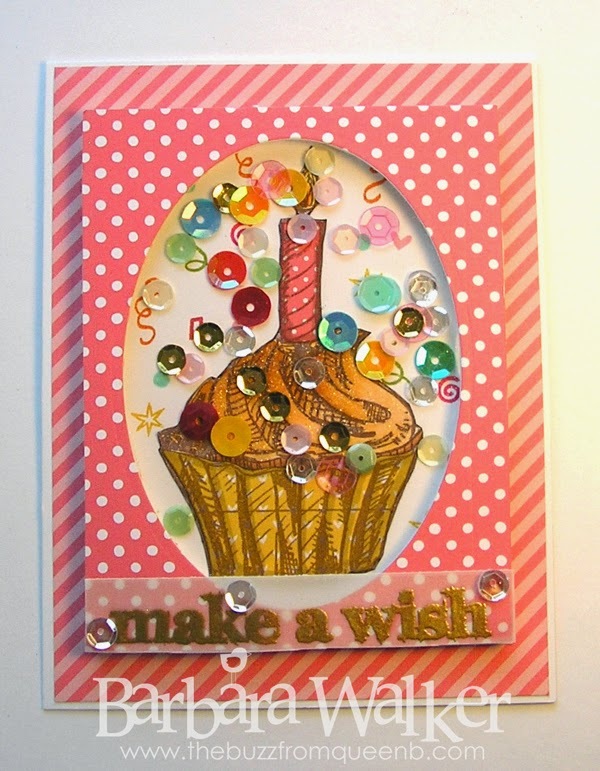 I made a birthday card as you can see and I loaded it up with a ton of sequins from the Pretty Pink Posh Shop. Be sure to take a look at my supply list to see the various colors I used. My absolute favorite sequin is the Sparkling Clear. It's soooo pretty in real life. Just like its name suggests, it is clear and very sparkly. I love them so much, I adhered a few on the outside of my card, too! I stamped the cupcake onto white card stock and cut it out. I colored the candle flame, cake and frosting with Copic markers, then I did some paper piecing. I sprinkled the frosting with clear glitter for extra sparkle...cuz you know me! :) Next, I randomly stamped confetti bits onto the white card stock and adhered the cupcake on top. I assembled the shaker, then adhered it onto my card base. I stamped the sentiment with Versamark and embossed it. I used liquid glue behind the words to adhere the vellum. And to finish it off, I added a few more sequins. I really wanted this card to be fun, cheerful and festive! So what do you think?! And this is how I finished off the inside of my card...more confetti and a few fireworks bursts, really help to make the card extra special. I added a strip of the same patterned paper I used on the outside to bring everything together. Well, that it's for me. Thanks for stopping by! I hope you visit again! Enjoy the Hop! Barb, I love your card - this makes the perfect birthday card! Your card is great! What a good wish! Everything about your card is festive - thanks for sharing the inside. Life is sweet! Love this card! I especially love that you embossed the sentiment onto a vellum banner! So very trendy right now. Fabulous card Barb. I need to get in my stamp room and get busy. Love the way you finished the inside of your card Barb! The stamped vellum is awesome too! very nice card, love the cupcake!! Your shaker card is yummy. AWESOME birthday card! Inside and out. I love the combo of stamped confetti and sparkly sequins. I think I'll be making more shaker cards, too. What a fun card! 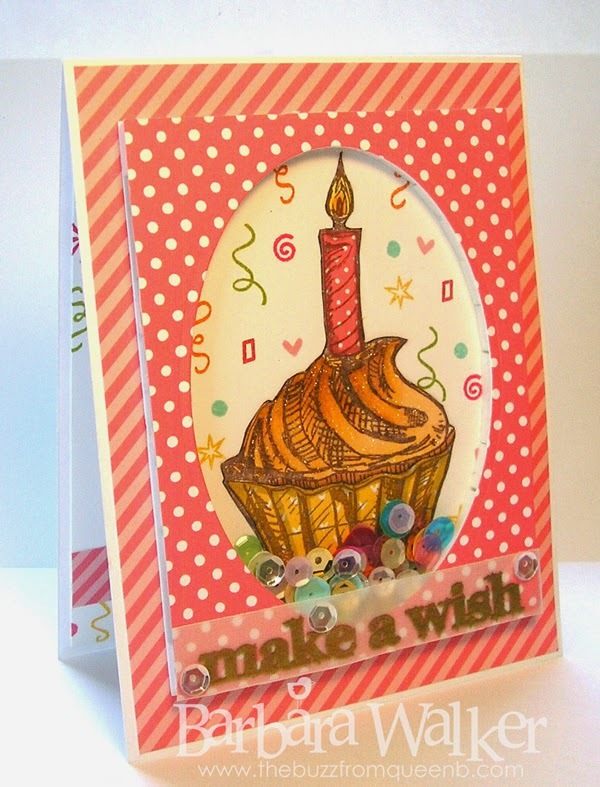 The sequins are the perfect addition for this birthday card! 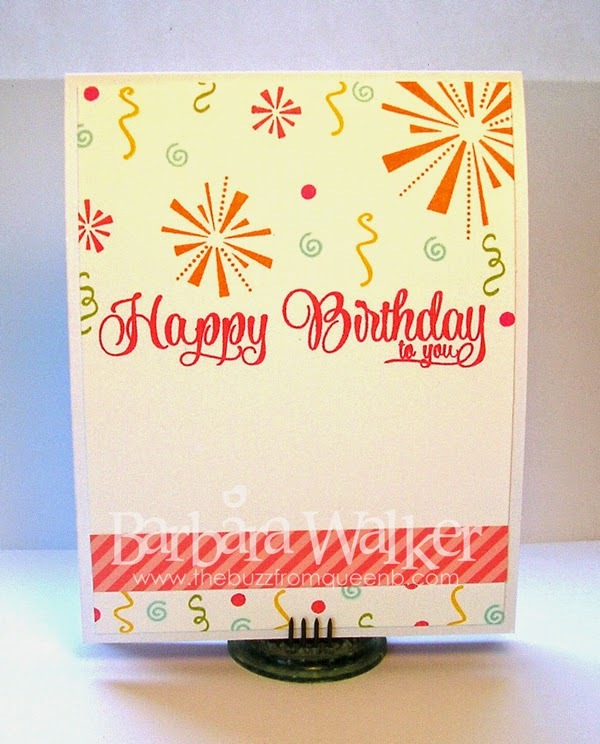 What a great shaker card, Barb! I recognized the cupcake stamp immediately, since I have that same set and love it! So I had to click through from the PPP blog and take a closer look. Not at all sorry I did, either. This card is a great inspiration. Tfs! Perfect for a special birthday. Oh, this is so sweet! Wonderful shaker card! Very cute card! I LOVE that cute cupcake with the sequins falling around it! Fun birthday card...love the large image. Great card, love the cupcake! 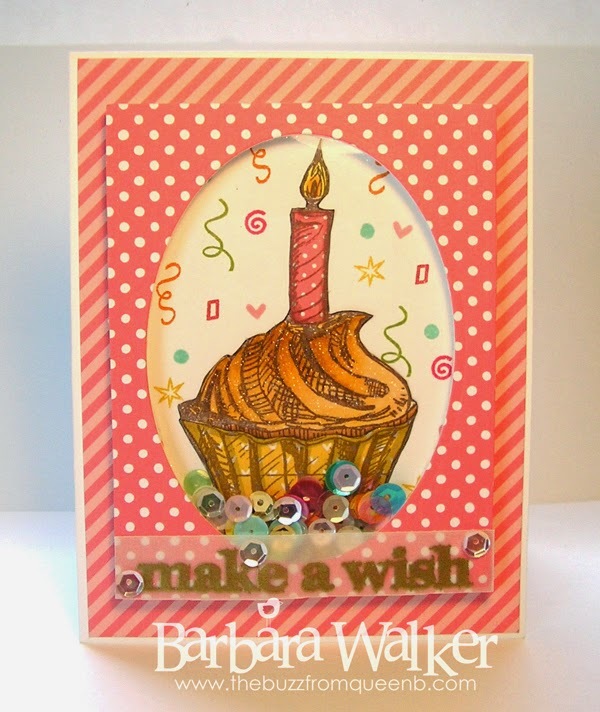 Barb, your cupcake cards are always fabulous, but you've really raised the bar with this one. I love all the sparkle, and the shaker sequins - fantastic! Your shaker card is so cute!! I love the sequence and your coloring is FAB!